Rubi Rymenmy, creator and founder of Art Flying Aerial, is presenting Cheat Day Land to Los Angeles, Calif. 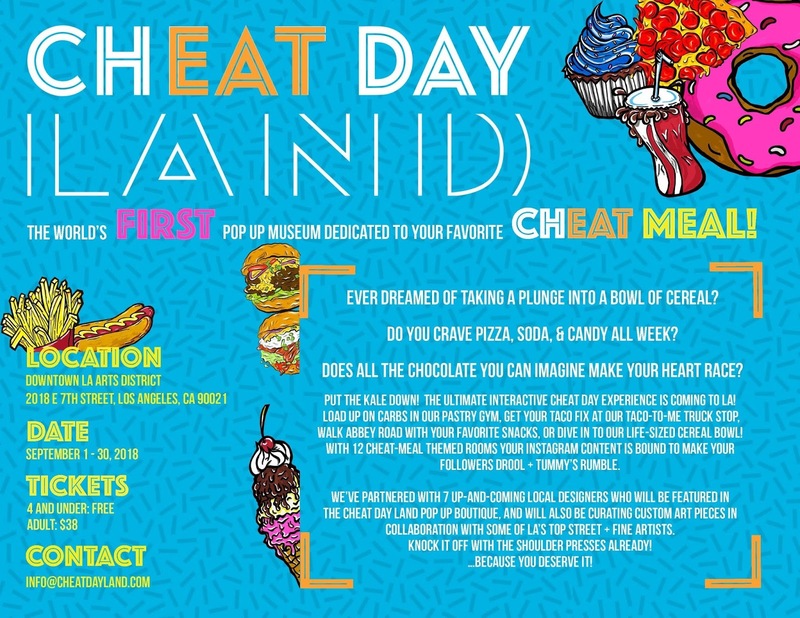 Cheat Day Land is a space where healthy lifestyle advocates can take a break from their dietary restrictions and indulge in whatever strikes their fancy for the day. Everyone's entitled to a cheat day after all. Imagine a donut gym complete with pastry dumbbells, or a life- size bowl of cereal where you suspend from the spoon to get that perfect insta shot. This is a playful, fun, whimsical world where your inner child can come out to play. "Cheat Day Land is a sensory explosion," Rymemny said. "A space where you are able to truly experience each piece of art, to immerse yourself in it." But Cheat Day Land isn't purely about indulgence. The event will offer up sensible ideas and suggestions on balancing a healthy lifestyle with snacking and guilt-free cheating. Don't worry though; you can still eat the donuts. Be sure to stop by the Cheat Day Land store where seven of the hottest up-and-coming local designers have been commissioned to create a line of Cheater-branded clothing from hats to tees and shoes. The museum will also feature work in collaboration with some of LA's top street and fine artists. 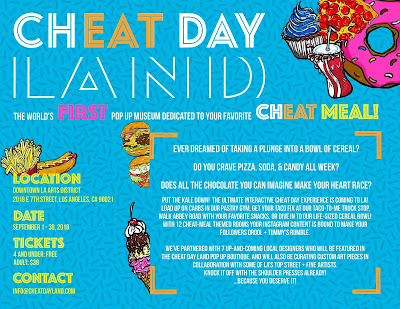 Cheat Day Land will open its doors from September 1-30 only. Indulge in 30 days of cheat meals while you can! Bring your appetite, snap some photos for #TheGram, and dive in to all of your favorite guilty pleasures.